This Valentine's, celebrate love, love for yourself! Valentine’s Day is just around the corner and what better than making yourself feel special? This is the day when you can express love for yourself. With a busy working schedule and running between home and work, we really forget to take out time for ourselves. This time, you should treat yourself. The best way to treat yourself is by relishing some delicious food. If you have a sweet tooth, prepare yourself a sweet treat. We have some interesting dessert recipes for you that are really easy to prepare and will turn out to be delicious! Relax on your couch and enjoy these sinful desserts. 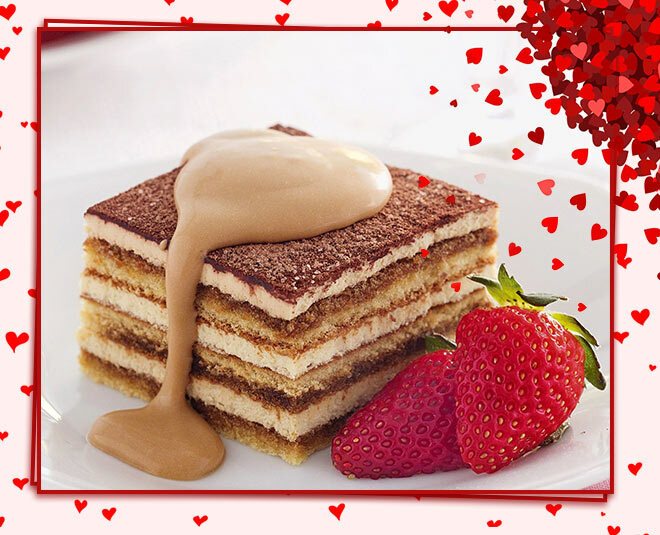 These desserts will speak straight to your heart and you will feel loved! Chef Prayag from Soho Kitchen & Co has shared these special recipes with us! Put the biscuit into a food processor and blend until crumbed. Tip in the melted butter and mix it all together. Spoon this into the base and press against the bottom and sides – this is the base of the banoffee pie. Chill it for ten minutes. Once set slice the bananas and lay in the bottom of the base. Spread the caramel sauce over the bananas. Chill for about 1 hour, until firm or until ready to serve. Carefully lift the pie from the tin and place on a serving plate. Spoon the softly whipped cream over the caramel. Decorate with the grated chocolate. Enjoy straight away. Keep refrigerated for up to 3 days. Place melted butter in the bowl of a stand mixer fitted with the paddle attachment (or a large bowl if using a hand mixer). Add granulated and brown sugars and mix on low speed until the mixture is smooth. Mix in egg and vanilla extract and mix on medium speed until combined. Mix in baking soda and salt, then slowly mix in flour and mix just until the batter is smooth and comes together. Be sure to scrape the sides of the bowl during mixing. Slowly mix in chocolate chips. *Note: This dough requires chilling. In a medium saucepan, whisk together egg yolks and sugar until well blended. Whisk in milk and cook over medium heat, stirring constantly, until mixture boils. Boil gently for 1 minute, remove from heat and allow to cool slightly. Cover tightly and chill in the refrigerator for 1 hour.